With timetotrade you can track your Share, Fund, Forex, Option and Spread-betting investments to get a consolidated view of your performance, determine UK HMRC Capital Gains Tax liabilities and generate related Tax returns for Private Investors and Investment Clubs. timetotrade provides you with a suite of Portfolio Management tools that include Performance Reports, UK HMRC Capital Gains Tax calculations, automatic asset valuations (including currency conversions for overseas investments), charts plus free real time market data for a range of exchanges. Keep track of your cash position and investments held in each of your broker, bank and savings accounts - all in one place. Set up a separate Portfolio Accounts for each of your broker and bank accounts. There is no limit on the number of Portfolio Accounts you can create. If you hold accounts and investments overseas, timetotrade will automatically convert values using the appropriate exchange rate to give you the overall value of your assets in your local base currency. Choose a local base currency for valuing your overall asset position. Use timetotrade to keep track of how your investment portfolio is performing. For each position you can see the latest trade price, average cost, number of shares purchased, current value, total profit and percentage profit and the total overall value of your investments in your local base currency. So you always know exactly where you stand at a glance. 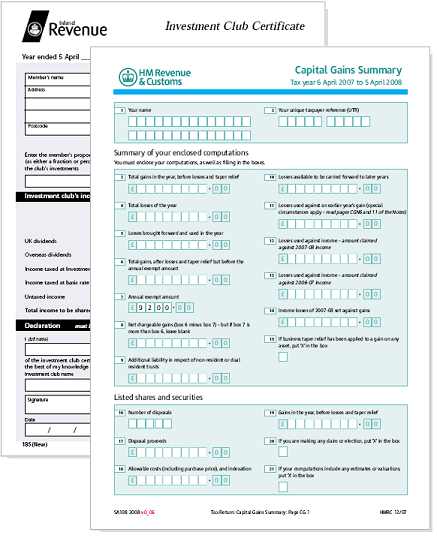 The new timetotrade system automatically completes Forms SA108 and Form 185 ready for you to print and provides you with the supplementary calculations in a pdf format - ready for you to submit along with your completed UK HMRC Capital Gains Tax Form SA108, as now required by HMRC. The calculator supports the pre and post April 2008 Capital Gains Tax Regime, including the new share matching and share pooling rules, as well as pre-2008 Share Identification rules, indexation for pre-1998 holdings, business and non-business taper relief and offsetting current and brought forward losses against gains to determine your capital gains. Input some basic parameters into the Share Reorganisation wizard and timetotrade will automatically update your portfolio and make the necessary adjustments to your base cost for Capital Gains Tax calculations. Importing and Exporting historical data is simple with timetotrade. Save time re-keying your historical transactions. You can import data at any stage by clicking the import function which can be found at the bottom right hand side of each of your portfolio accounts income/expenditure pages. Use the 'Browse' button to select the csv file from your computer that you wish to upload. When you have selected the appropriate file, click the import button - simple!. Data in your csv spreadsheet must be presented in a very specific format. See the Import Manual for further information. 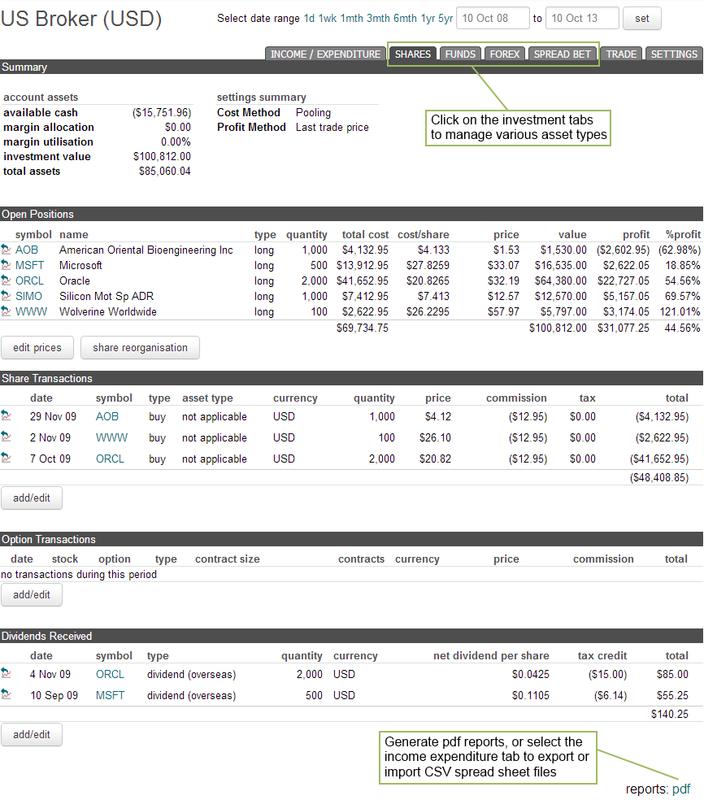 Once you have set up your own timetotrade account, each time you log in to your private account, the first page you see is your own personal 'Summary' page, providing you with an instant snap shot summary of the value of all of your open portfolio positions, your asset values and market performance - all in one place.